I recently received digital images of a few of my slides from the Yellowstone years. 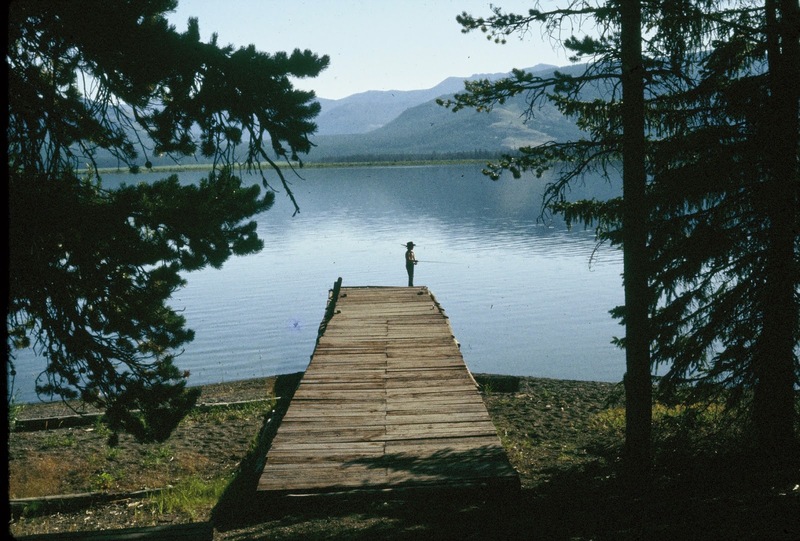 This is one of my favorite photos... Travis fishing from the dock in front of the Trail Creek Cabin on the southeast arm of Yellowstone Lake. He was 8 years old, I think. Who knew that Yellowstone would capture his heart? Amazing that 35 years later, he's still there!